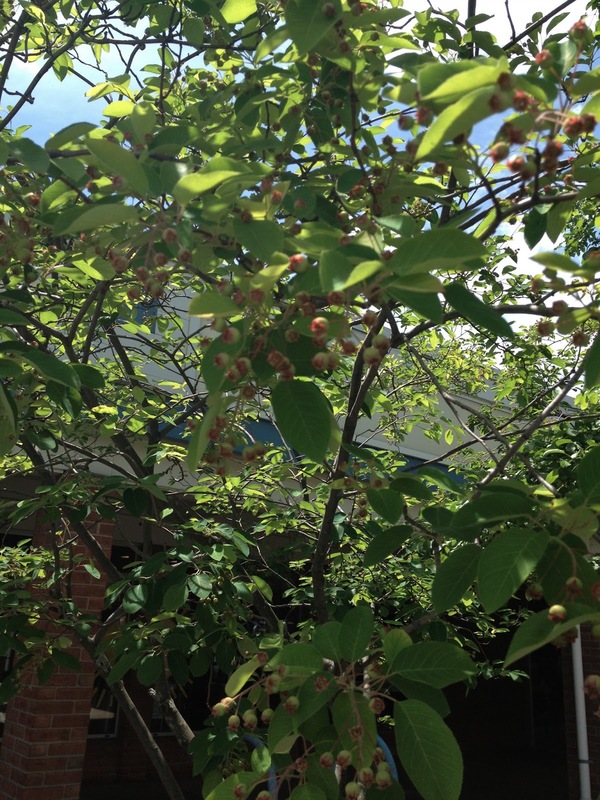 Looks like these juneberries are almost ripe. Keep your eyes peeled for them so you can get some before all the squirrels and birds do. These are in the Trader Joe's parking lot. I'm hoping to get enough berries from my neighborhood to make a pie. Serviceberry Pie is a rare and fantastic treat.